This week's Top Ten Tuesday topic from That Artsy Reader Girl is Books with Sensory Reading Memories. I'm focusing on books that I vividly remember reading. I usually remember the plot of a book that I've read but not so much the experience or where I was and these books were the exception. 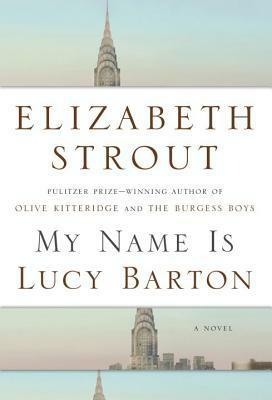 I'm trying to stick with books I've read at least 2 years ago to be sure the memory is especially vivid. 1. 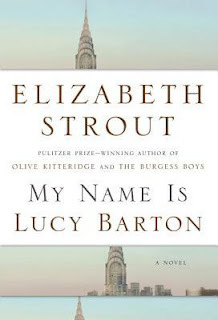 My Name is Lucy Barton by Elizabeth Strout - I listened to the end of this book while sitting in the car at my son's school waiting to pick him up. It was pouring down rain and the simple yet emotionally complex story really fit the weather perfectly. 2. Gone Girl by Gillian Flynn - This was the first book I read for a book club and I remember curling up in a chair in the living room and blocking everything out while I tried to figure out just what was going on with the characters. 3. In a Dark Dark Wood by Ruth Ware - This was not only my first book by Ruth Ware but it was my first book narrated by Imogen Church and it seriously hooked me. I ended up deep cleaning my kitchen just so I could listen longer and when the climax was approaching I was standing absolutely still just waiting to find out what was going to happen! 4. Me Before You by Jojo Moyes - I resisted reading this book because I heard it was ugly cry inducing and I'm not a fan of the ugly cry. But I gave in and I ended up finishing this in the car while we were heading to vacation. I warned my husband that I was going to cry and I absolutely did. 5. Marley and Me by John Grogan - I read this book in one sitting and finished it at like 2 or 3 am and was sobbing so hard that I woke up my husband and he refused to believe that I was crying that hard over a book. 6. 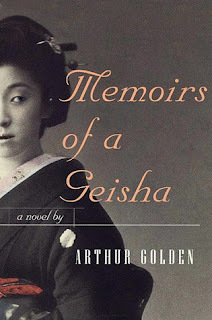 Memoirs of a Geisha by Arthur Golden - I read most of this sitting outside on the deck. I live in Alabama and there are approximately 4 days out of the year where the temperature is right, the humidity is low, and the mosquitos haven't come out yet that are absolutely perfect for outdoor reading and I was reading this when one of those days arrived. The fact that I really enjoyed it but didn't expect to made this extra memorable. 7. The Collector by Nora Roberts - I read this one at the beach. I honestly don't remember all that much about the book itself but I do vividly remember sitting on the balcony of the condo after getting crazy sunburned and enjoying this read. 8. Looking for Anne of Green Gables by Irene Gammel - I remember sitting up late struggling through this biography of L.M. Montgomery because I really really disliked it. By the end I disliked both the author and the subject and it took awhile before I could read anything else by Montgomery! 9. Wait Till Helen Comes by Mary Downing Hahn - I read this one when I was about ten and I vividly remember sitting out on a swing in the backyard wide eyed and flying through this one. The swing was somewhat hidden from the backdoor so there's the very real possibility that I was hiding from my mother so that I could finish it! 10. Claudia and the Phantom Phone Calls by Ann M. Martin - I loved the Babysitter's Club series so much and I loved the mysteries especially I remember being absolutely delighted and spooked by this one. I read this one sitting on the floor of a bookstore while mother talked to a friend! I so need to read Gone Girl. With all the thrillers I've been reading I have no idea why I haven't yet! And now w/ sharp Objects on HBO that one is calling me too! I didn't do this task as I read pretty much all of my books at home in my bed! I have books that really are cemented in my memories too. Love your thoughts here. I've read several of these. I remember reading Wait Till Helen Comes out loud to my daughter when she was in elementary school. When I do that Bookish Nostalgia feature and look through my old notebooks, I find some books that are just right there in my memories. Others - not so much. Interesting topic this week. In a Dark, Dark Wood and Gone Girl had me feeling the exact same way. I totally blacked out everything going on around me as I read to the conclusions. Some strong experiences! Ouch over the Looking for the Anne of Green Gables. I loved In a Dark Dark Wood which... is unusual for me but I wanted to read it through too without much stopping. I love your comment on reading outside in Alabama! Like where I live! Superb book to enjoy such bug-free days with. Great job! Love today's topic, Katherine...and LOVED "Wait Till Helen Comes," it was probably one of my favorite childhood books (or at least one of the most memorable!). I read it again as an adult and am embarrassed to admit that it still freaked me out! I really enjoyed, "In a Dark, Dark Wood," too. It was fun to read your memories. Yes, Me Before You was an ugly cry but I loved it. I need to get hold of the third book. I've been so pleased that Moyes continued Lou's story. I adore Mary Downing Hahn!!!! I didn't discover her until I was an adult and working as a children's librarian. But I have since read a lot of her ghost stories and they are amazing! Wait Till Helen Comes is soooooo freaky!!! I also cried quite a bit with Marley and Me, but it was such a great book. The way pets connect to us is amazing. MARLEY AND ME is SUCH a tearjerker. I'm not even a dog lover and it made me cry like a baby! I love all of the memories that go along with books. I remember bringing my Little House books and reading them at my elementary school. I remember listening to Sookie Stackhouse while I worked from home and Wonder while my daughter had her friend over for a sleepover. All of these memories just add to the joy of reading. You know, at first I was thinking that I can't really remember exactly where I read most books but the more I read your post, the more books came back to me that I could picture myself reading. I stupidly finished Me Before You in my office's lunchroom. Not the best place for an ugly cry!